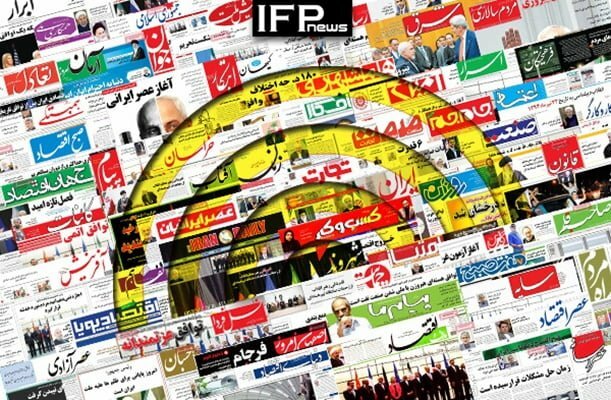 IFP has taken a look at the front pages of Iranian newspapers on Saturday, January 12, 2019, and picked headlines from 13 of them. IFP has simply translated the headlines and does not vouch for their accuracy. Almost all papers today covered the remarks made by Iranian President Hassan Rouhani in praise of the late ex-president Ayatollah Akbar Hashemi Rafsanjani and his personality. Also a top story was US Secretary of State Mike Pompeo’s tour of regional countries which is aimed at uniting Arab countries against the Islamic Republic of Iran. A controversial plan by the municipality of Tehran to receive tolls from citizens who use some of the busiest tunnels in the capital also received great coverage. 2- Zarif, Zanganeh Chasing Pompeo! 1- First-Degree Idiot in Cairo: US Saviour of Middle East!